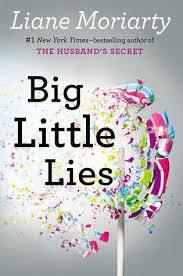 I received a free digital copy of this from NetGalley in exchange for an honest review. Let me start by saying that this is not the kind of book I would normally go for, but I am so pleased I gave it a try. A marriage in decline is not a pleasant thing at any time – but to observe the rapidity of this experience was quite unsettling. On the surface Mitchell and Ava seem to have it all. Very quickly we are alerted to the idea that not everything is as rosy as it seems, though it takes Ava some time to come to this realisation. While I was initially unsure about the telling of the story from multiple viewpoints, I found this helped strengthen my feelings for the character of Ava. 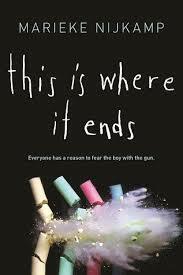 I don’t like to give spoiler details in my reviews, but I found this well-plotted and hard to put down. It felt horribly realistic at times, which might not be to everyone’s tastes, but I think it is a book that deserves to be read. 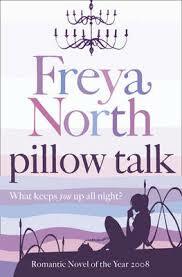 I confess to having a bit of a soft spot for romantic fiction by certain writers – Lisa Jewel, Jill Mansell, Freya North – and there were parts of this book that I loved. Unfortunately, I felt more than a little detached from this book and I can’t quite put my finger on the reason. The idea of two high-school sweethearts who meet again after seventeen years did, I confess, set alarm bells ringing. If you haven’t been in touch with someone for that length of time, there’s usually a good reason. When their high-school relationship is actually revealed – a chaste kiss, some meaningful looks and a handful of conversations – I know we’re meant to realise they’re soulmates who are destined to be together, but I just felt they were deluded. Putting my own prejudices aside, I felt there were some lovely moments within the novel. The relationship between the young Petra and her mentor Lillian was heart-warming, and the gradual breaking down of the barriers between Petra and Arlo when they meet again had me yearning for things to work out between them. Some of the minor characters annoyed me intensely, and I found it hard to get past this. Reading this book was like deciding to eat the whole Easter egg when you were young. It felt good at the time, if self-indulgent, but left you wishing you hadn’t bothered at the end. I must be one of the few people who haven’t picked up on the resurgence of interest in Loki fostered by Marvel comics and a certain film series. 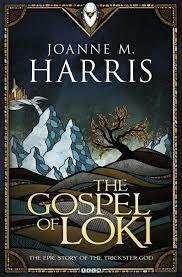 With only a nodding acquaintance with Norse mythology I originally picked this up because I wanted to know more, and reviews suggest that Harris knows her stuff. What can I say other than I loved it! The narrator, Loki, is the god of trickery and deception – which means he’s doing some pretty awful things. However, he does them with such relish that you can’t help but find the whole thing enjoyable. Discussing this with a colleague who knows her stuff, all the stories she mentioned were there. Now I’m curious to find out more. 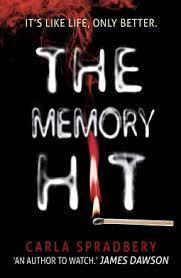 I loved the cover of the book, and the general idea of a drug that allowed you to relive your memories was intriguing. I was full of hope for this read, and I am rather disappointed that it didn’t live up to my expectations. 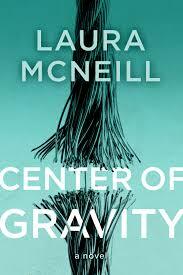 Thank you to NetGalley for sending me a digital copy of the novel to review. 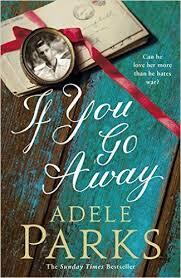 I really wanted to like this book, and parts of it were great. The friendship between Jag and Cooper, and some of the ideas behind the memories that people relive had real potential. Unfortunately, the events of the novel just seemed a little incredulous. I didn’t feel like I cared enough about the characters to really be affected by the events described, and the character that the story hinged upon had been so under the radar throughout that I had to remind myself who they were! I’m going to pass this book on to my son, and see whether the intended audience has more of a positive reaction. This book isn’t due to be published until January 2016, but this is why I signed up to NetGalley – to get the opportunity to get my mitts on wonderful new books before they hit the shelves. I really hope this book becomes one that people talk about for the right reasons when it is published. I’m giving nothing away when I say that this focuses us on 54 minutes of every parent/teacher/students’ worst nightmare – a high school shooting. From the off this had me completely gripped. Some early reviews have criticised the Tweets included, saying they are off-putting. I think they place us within a clear social context, but I did not find them overly distracting. The central characters who the story focuses on are all well-written and I felt like I wanted to know more about their backgrounds/what happens to them after the story. I do not want to give away any spoilers as publication is some way off, but I would earmark this as one to recommend. The book opens with the passage of Honor Bright, a sheltered Quaker, to America to start a new life. This is not a journey for the faint-hearted, but it allowed us to empathise with Honor as a character set adrift from all that is familiar to her. During the course of the journey Honor’s sister dies, and she is thrown on the mercy of her brother-in-law-to-be and his family. Honor quickly realises that if she is to survive in this new land she will have to adapt. She marries into a local family, but life is not quite as she hoped it would be. Through Honor’s eyes we see the changes that are wrought upon groups of settlers, and we gain a clearer understanding of some of the issues surrounding life in 1850s America. When Honor encounters a runaway slave on her family’s farm, Honor’s principles are tested. From the outset this was a book that raised questions. Having some prior knowledge of the Underground Railroad system that is referenced here I was gripped by this story. Loved it! At the start of the novel Vivian Foster is a passionate and somewhat wilful young woman, throwing herself into her debutante season in the hope of securing a suitable marriage. The start of the novel was what some might call a slow-burner. Vivian was not particularly likeable, but her passion and temperament became clear early on as her parents try to manage the fallout from her indiscretion. Rushed into a marriage, as I assume many might have been, Vivian’s life seemed destined to be one that would not bring fulfilment. When War is declared on the day of her wedding, Vivian’s new husband determines to do his duty and volunteers for action. Vivian is left to move to the country and manage her husband’s estate, as everyone is encouraged to do their bit. Howard Henderson, a brilliant young playwright, also gets involved in the war, as a journalist reporting on the scenes at the Front. He is scarred by what he sees in these early years, and when conscription becomes law in 1916 he refuses to join up. Imprisoned for his beliefs, Howard becomes one of the country’s most famous conscientious objectors. He narrowly escapes a death sentence by agreeing to carry out essential farming work for Vivian. From their first meeting, the attraction between these two characters is evident and the relationship between them seems inevitable, though socially unacceptable. If it were not for the backdrop of the War, their story would have been very different but, as a reader, I’m so pleased that it panned out as it did. 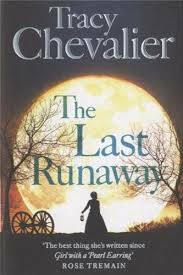 An absorbing novel, and the blending of historical detail within this story was fascinating. Definitely one of the best books I’ve read this year. This was one of those books that wormed its way into my basket at Waterstones, thanks to their amazing buy one get one half price offer and a vague recollection of someone talking about something else Moriarty had written. Three very different women come together when their children start school. Single mum, Jane, is new to the area and she is taken under the wings of Madeline and Celeste. Some of the characters were a little stereotypical, and felt like devices used to move the plot forward but the central characters were intriguing. The ‘thriller’ element of the plot was capably handled, though I think many readers will guess how all the pieces come together. I did, on occasion, find the interview snippets a distraction and felt they got in the way of the story rather than adding anything to it. Don’t get me wrong, I enjoyed the book as I was reading it but it isn’t one that I’d go back to. As a young child, I went through a phase of being heavily addicted to those Choose Your Own Adventure books. I loved the concept of different choices resulting in different outcomes. Sometimes it worked; all too often it didn’t, but I loved the idea that you could get varying outcomes depending on what you did. So, you can imagine how excited I was when I spotted this while browsing one day. I’m not sure Waterstones were doing it any favours by describing it as a literary ‘Sliding Doors’ (unless they’re subconsciously trying to appeal to Gwyneth Paltrow fans) but the whimsical notion of following someone through three different versions of their life was intriguing. When Eva and Jim first meet, they are nineteen year old students at Cambridge in the late 1950s. Jim is walking along a lane when a woman approaching him on a bike swerves to avoid a dog. What happens next depends on which thread of the story you are reading. Following the three separate threads was, I feared, going to prove something of a stumbling block but this couldn’t have been further from the truth. None of the strands quite worked out as I’d have liked, but I was fascinated by the varying stories. I loved the way little details reoccured within strands, each time slightly different. 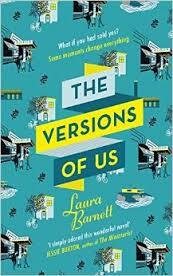 Barnett’s writing style was confident and controlled, capably guiding us through the different permutations of the stories. I was looking for something a bit different, and I think I found it here.